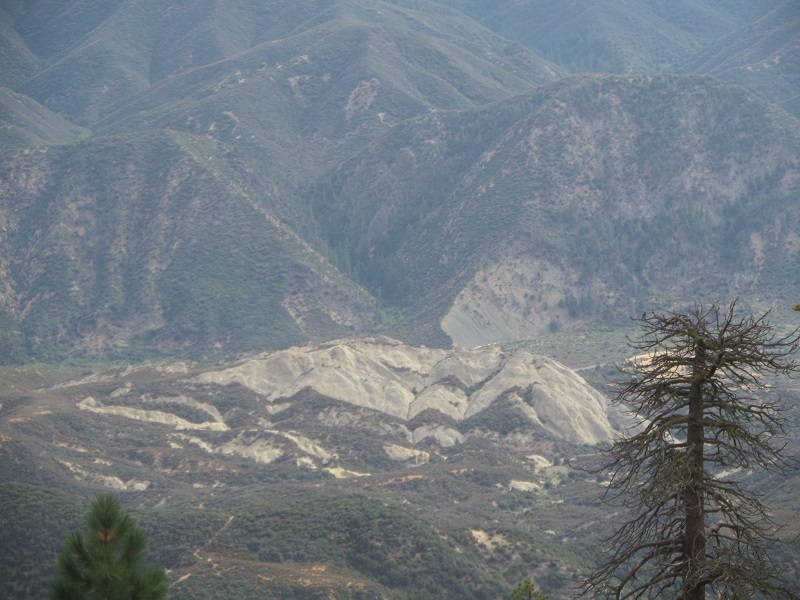 Location: Pine Mountain, Los Padres National Forest, northern Ventura County. From Highway 33, head east on Pine Mountain Ridge Road (31.5 miles north of Highway 150, 49 miles north of Highway 101 and 5.8 miles south of Lockwood Valley Road). The signed Chorro Grande trail head (23w05) is on the right side of the road 6 miles from Highway 33, just past the last site of the Reyes Peak Campground. There is room for a few vehicles at the trail head. Exercise caution on the winding, one-lane road. Also note that many of the roads in this area are subject to weather-related closures. Check road statuses here. 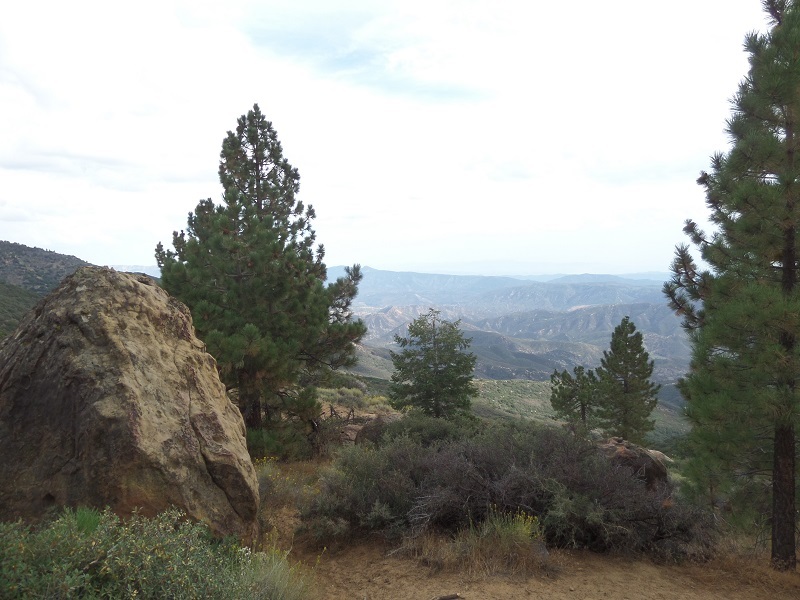 The Chorro Grande Trail climbs five miles the south slope of Pine Mountain in the Los Padres National Forest. Hikers who aren’t up for the steep, 3,000-foot climb and who can’t arrange a shuttle to do it as a one-way descent have another appealing option: a short but challenging trip on the top portion of the trail, descending from Pine Mountain Ridge Road to the Chorro Grande (also known as Chorro Springs) Trail Camp. The views along the descent are outstanding and the trail camp is as secluded a spot as you are going to find in the area. The only drawback to this hike is that the bugs can be annoying. From the small dirt turnout, follow the Chorro Grande Trail as it makes a steep descent along the pine-dotted slope, heading southwest then west. You get an aerial view of Rose Valley and the famous Piedra Blanca sandstone formations as well as Nordhoff Ridge farther south. 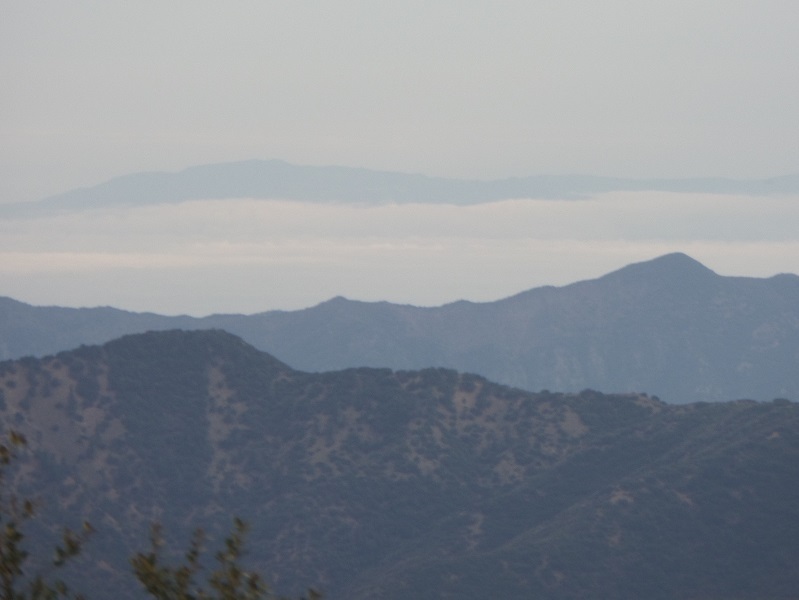 If visibility is good, you may be able to see the ocean and pick out the western end of the Santa Monica Mountains and Santa Cruz Island. At 0.4 mile from the trail head, you reach a gently sloping meadow. The trail bends southwest and drops into a mixed forest of pines and black oaks. A few steep switchbacks bring you down to Chorro Grande Trail Camp (note that the location shown on Google Maps is slightly to the east of the actual location.) Some tall, gnarled black oaks provide shade. When it is flowing, Chorro Spring flows from beneath a large jumble of boulders. On the left side of the trail is a smaller campsite with a stove. 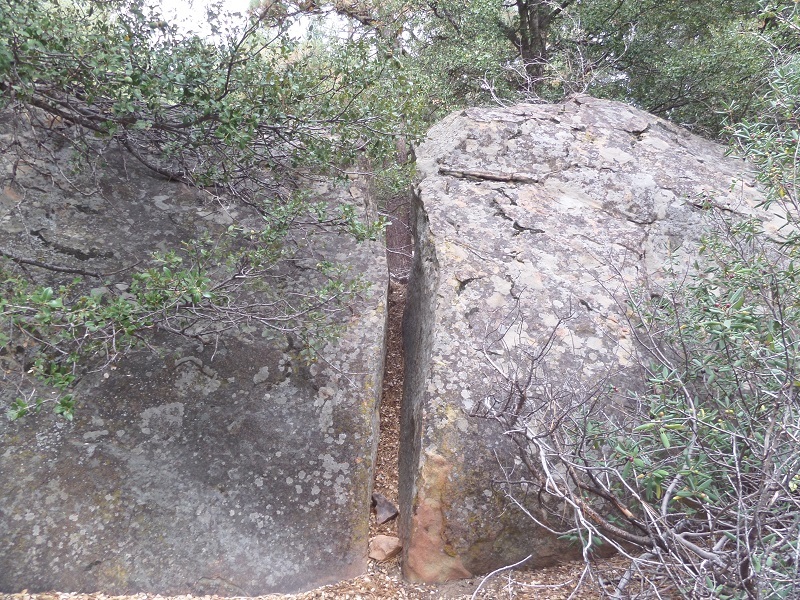 Behind it is a large boulder with a gap running down the middle – reminiscent of Sandstone Peak’s famous Split Rock, at a smaller scale (too narrow to walk through). After enjoying the solitude, retrace your steps back to the trail head. You can, of course, continue farther down the trail but keep in mind that unless you have parked a car on Highway 33 the only way out is back up the steep incline.